It’s hard to find a great vehicle while also staying within your budget. Luckily, with a certified pre-owned vehicle from Sames Bastrop Chrysler Dodge Jeep Ram, you can get a used car that still looks and drives like it’s brand new. Browse our available inventory of certified cars for sale in Bastrop, and contact us today with any questions! Any certified Chrysler, Dodge, Jeep, Ram for sale on our lot has been tested and inspected for quality, and comes with limited mileage and a clean vehicle history. With these cars, you can rest easy knowing you’re getting a great car at an even better price. Our finance department is here to help you figure out how to properly budget for your next purchase, and our online auto payment calculator can help you get a better idea of how much you can afford per month. 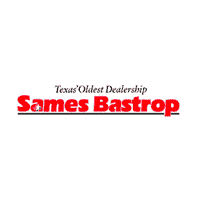 Visit us today to learn more about certified cars for sale in Bastrop!